| Ultraman live in Genting 2015! Any Ultraman fans here? Ultraman will be meeting their fans in Genting International Showroom from 19 February to 22nd March 2015. For those who wish to catch up with their childhood hero be sure to attend to this roadshow! 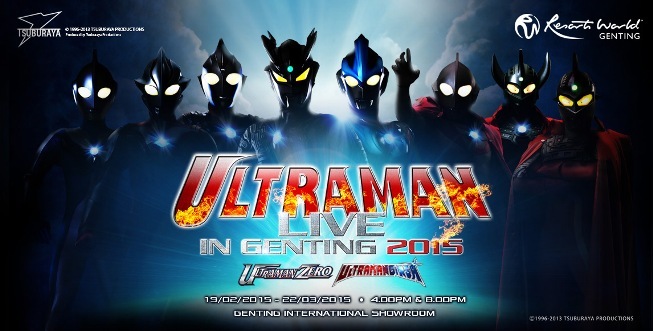 Event: Ultraman live in Genting 2015!